At the same time, the concern’s net sales reached EUR 344.902 mln, up 8.9% y-o-y, while its profit was EUR 25.185 mln, down 3.3% from 2017. 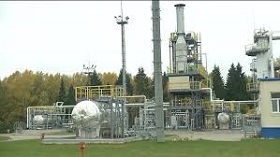 The company’s management reported that the total natural gas quantity supplied by Latvijas Gaze in Latvia in 2018 accounted for over 90% of total Latvian consumption. At the same time, the Latvijas Gaze continued with its efforts to expand its gas sales activities into the neighboring natural gas markets in Lithuania and Estonia. While the entry into the Lithuanian market remained challenging, the Latvijas Gaze in late 2018 signed several gas sales agreements with a number of customers in Estonia. In 2018, Latvijas Gaze group supplied natural gas to more than 400,000 customers in Latvia and further expanded its presence in the natural gas wholesale segment and natural gas trading abroad. The total natural gas sales in 2018 amounted to 1.231 billion m3 (12,969 GWh), which is a 6.5% decrease in comparison to 2017. “The decrease is attributable to the entry of new trading companies after market opening in 2017 and changed purchasing patterns of large customers. On the other hand, higher energy and commodity prices, additional income from the storage auction organized by the Conexus Baltic Grid in August 2018, higher than expected sales to the power generation segment as well as positive results from locking in margins via financial hedging activities contributed to delivering a strong financial result,” the company said. As in previous years, the Latvijas Gaze in 2018 continued to make a number of investments to ensure most efficient operations when delivering high-quality products and services to customers. In total, the company in 2018 spent approximately EUR 2.45 mln for investment projects. Out of this amount, the Latvijas Gaze invested more than EUR 2 mln into the first implementation phase of a new billing system and customer portal. Additionally, the company spent approximately EUR 150,000 on other IT-related projects and equipment. The modernization of the existing IT infrastructure and the digitalization of the company’s sales processes will play a key role in serving customers with the best products and services at the most competitive price also in the future. Therefore, the company plans to continue its investments related to the new billing system and customer portal in 2019 with completion of the implementation for all customer segments expected in late 2020. Latvijas Gaze turned over EUR 281.571 mln in audited turnover and made a EUR 24.217 mln in profit in 2017. At the beginning of 2017, the company was split up, creating gas storage and transmission operator Conexus Baltic Grid, and Gaso, a subsidiary in charge of gas distribution, was founded at the end of 2017. Latvijas Gaze group's major shareholders were Gazprom (34% of shares), Marguerite Gas (28.97%), Uniper Ruhrgas International (18.26%), and Itera Latvija (16%). Latvijas Gaze shares are listed on the Nasdaq Riga stock exchange.